From the first performance at the original Traverse Theatre in Edinburgh in January 1965 till the most recent at the 2009 Edinburgh Festival in a series of morning performances at Henderson’s, the solo Burns format has been a success with audiences all round the world. Indeed, John Cairney has become so associated with the part that his first volume of autobiography in 1987 was called 'The Man Who Played Robert Burns'. The format is simple. The actor, as Burns, opens by announcing to the audience - 'I have taken a whim to give you a history of myself.' He then proceeds, for the next hour to do just that, using, as far as possible, Burns's own words - engagingly, often movingly and with lots of humour. The audience cannot help but be involved in his story because it is also theirs. They get a chance to sing the famous songs. 'Holy Willie's Prayer' has them squirming and the recital of 'Tam o' Shanter' is a whole show in itself. It ends elegiacally with 'Auld Lang Syne'. A fitting end to the tragic but uplifting story of Robert Burns, Poet. 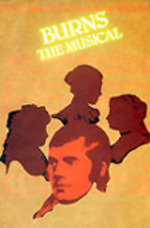 John Cairney has also adapted and performed this script as a One-Man-Burns Supper under the title 'A Burns Experience'. Actor, raconteur, writer and Burns scholar: John Cairney uses all these colours to paint a unique portrait of the complex Scot that was Robert Burns. The show has everything a night in the theatre calls for - fun and laughter, moments of thought, high passion, all bound by Burns' humanity. As an actor, Cairney brings his work alive in a performance, which covers all the emotions, from joy to despair following the trail of Robert Burns from ploughboy to national bard. As a raconteur, Cairney can draw on his experience playing Burns throughout the world to entertain the audience with anecdotes from these shows. He also uses material from his own books on to comment on the historical Burns in his own society and on his impact today. Cairney’s style is intimate and relaxed, making the audience feel part of the show. The mood and atmosphere can change in a moment from unreserved laughter to heartbreak and back again. All this combines to give an audience, in the course of an hour, a varied and rich Burns experience. Archive footage of me reciting Tam O'Shanter. 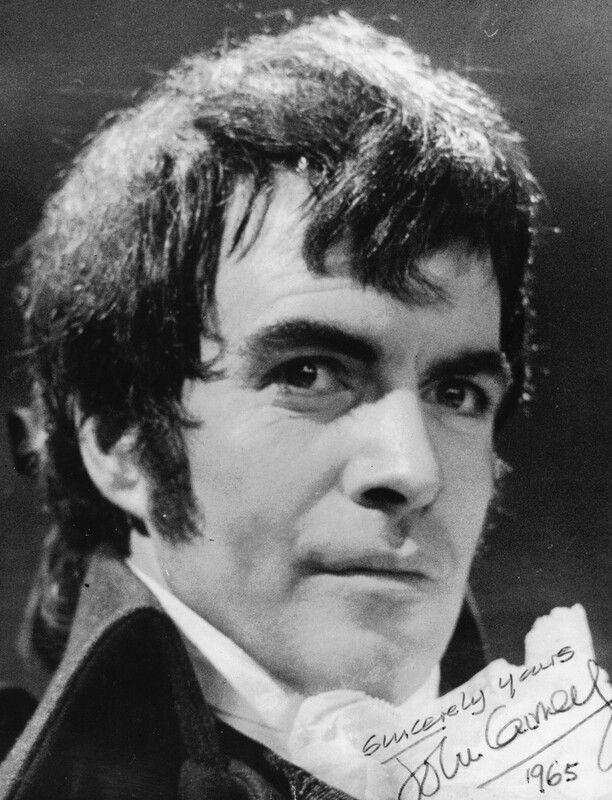 In 1959, John Cairney was asked to play Burns for the first time in a sketch performed by comedian, Jimmy Logan, on BBC television in which John had merely to be a Burns portrait which came to life. When the programme was transmitted, the viewer reaction to this brief appearance was overwhelming. Around the same time, at Paddington Station in London, he noticed a British Railways Poster (No.B25267) depicting the figure of Burns surrounded by the characters and places from his life and work. This gave him the idea of a theatrical one-man-show on Burns but, in view of his many other acting commitments at the time, he was unable to do anything about it. However, in 1960, while playing Hamlet at the Glasgow Citizens’ he invited the Scottish poet and playwright, Tom Wright, to create a one-man-show based on the life of Scotland’s national bard and a working script was ready during 1962. By this time, Cairney was in Edinburgh for a Command Performance of 'Rob Roy', which was directed by Gerard Slevin, who agreed to direct the solo play and from this point the three of them worked on the production which was to become There Was A Man. It was ready during 1964 but no one was at all interested in presenting nearly three hours of one man reciting Robert Burns. However, Jim Haynes, who was then running the tiny Traverse Theatre in Edinburgh, decided to take a gamble and it was presented for the first time on 25 January 1965, for a trial week. It was an immediate sensation and ran for two months. The production then toured Scotland triumphantly but Cairney had to return to previous television commitments for the BBC in the popular series This Man Craig. It was not until 1967 that Cairney could resume as Burns, virtually picking up where he left off, touring Scotland again, as well as playing a season in London at the Arts Theatre for Talus Productions, followed by a national tour and an appearance at the First International Solo Festival in Geneva. In 1968, Cairney wrote and starred in a six-week television adaptation of the Robert Burns Story for Scottish Television. He also wrote a screenplay on the subject with C.P.Taylor for World Wide Films, a subsidiary of Columbia Pictures, but the film was never made and Cairney returned to his conventional acting work with only occasional appearances as Burns at various festivals. In 1975, his own company, Shanter Productions, organised the first Burns Festival in Ayr and ran it with Carrick and Kyle District Council, until 1979. The object was to encourage new interest and new writing based on Burns and during these five years many aspects of the Bard were portrayed on stage in the new open-air theatre at Rozelle Park in Ayr. By this time, Cairney had adapted his own solo version under the title, 'The Robert Burns Story', and it was with this he toured Britain, Ireland, Canada and the United States, as well as Europe (including Moscow), India, the Far East, Australia and New Zealand from 1974 until 1981. In that year, he played it in costume for the last time at the Scottish Festival in Norfolk, Virginia. He adapted a further version of the Burns Story as 'A Burns Experience' and toured with this around the world until 1985 under the aegis of the British Council and on P&O Cruises as Theatre At Sea. In 1986, with his own company, Shanter Productions, he presented the first full-length, modern Burns Musical, 'Scot Free' (music by Geoff Davidson and book and lyrics by Cairney). This was produced by Alannah O’Sullivan under the auspices of the Strathclyde Region and was re-worked as 'There Was A Lad' in a concert performance during Glasgow’s Year of Culture in 1990 and as ‘Red, Red Rose’ in 2009. A long-playing Recording, ZLP 2102, was issued by EMI (London) in 1967 and re-issued by Shanter Recordings (REL 448 A/B/C/D) in 1972 and again by R.E.L. (Edinburgh) as a double album in 1974. A 90-minute cassette version was issued in 1976 and a C.D in 1996. In 1991, Alannah O'Sullivan joined John Cairney in a video produced at The Inn on the Green, 'A Burns Experience'. A new solo video by John Cairney, 'Robert Burns: An Immortal Memory' was issued to commemorate the Burns International Year of 1996. Since then, Dr. Cairney, (he gained his PhD from Victoria University in 1994) has been in demand as a lecturer, writer and consultant on all aspects of Robert Burns and his One-Man Burns Supper is still asked for today. Dr Cairney’s Burns writing includes 'A Moment White' (Outram Press, Glasgow, 1986),' The Man Who Played Robert Burns' (Mainstream Publishing, Edinburgh, 1987) and 'On the Trail of Robert Burns' published by Luath Press, Edinburgh, 2000. Also 'The Luath Burns Companion' (2001) and 'Immortal Memories' (2003) which he edited. In the sesquicentennial year of Burns in 2009, John Cairney has returned to live in Scotland, where he continues to perform 'A Burns Experience' throughout the nationally and internationally. The Luath Burns Companion (Editor) - ISBN 1-84282-000-1 2001 A selection of the best of Burns in poetry and song with an introductory essay on the life. The Man Who Played Robert Burns - ISBN 1 85158 0700 John Cairney's own story of his life as a Burns actor around the world. Here John Cairney tells the Burns story with an exciting modern score. Original songs were commissioned from Scottish singer/composer, Geoff Davidson, to match the Cairney book and the result is a new look at an old concept: Burns - The Musical. It was given its first professional performances in a Scottish tour during 1988 entitled 'Scot Free' and was repeated for a series of concert performances in Glasgow at the time of that city's being elected European City of Culture in 1990. The latest presentation in January 2009 was under the title ‘Red, Red Rose’ at the Theatre Royal, Dumfries. The story is strong. John Cairney knows it well, having performed it as a solo for a large part of his career, and Davidson's music is wonderfully tuneful. There are two good romantic singing leads, half-a-dozen principals, and a superb comedy character in Holy Willie, plus the whole chorus of villagers in the first act and society ladies and gentlemen in the second. Music is provided by a small string ensemble. All production rights rest with John Cairney and Geoff Davidson. Contact: Harper Collins Audiobooks, London. Burns and Hugh MacDiarmid - a playful debate for two actors. Burns and his contemporaries. What they thought of him at the time. Duologue for actors with song illustrations. A group reading with songs from accounts of Burns by his contemporaries. Aspects of Burns with original drawings by Irene Dickson. Research by Alannah O’Sullivan. A Glasgow Herald publication to mark the bi-centenary of the 1786 Kilmarnock Edition. Readers and actors in an entertainment based on the words of Burns. A scenario for Narrator, Singer and Dancers (USA) featuring Jean Redpath and Alistair Fraser (violin). Full length musical based on the Robert Burns story with original music by Geoff Davidson. Presented in the City Halls as part of Glasgow’s Year of Culture. Featuring John Cairney and Anne Lorne Gillies. A study of Burns in relation to theatrical, film, tv and radio performance. In manuscript only.